Volkswagen Jetta lovers may rejoice, for it’s not too late to acquire the last of the fifth-generation models. Yes, the Jetta sedan has been “updated” into its sixth generation, but thankfully the 2011 Sportwagen is still based on the fifth-gen platform. While the new Jetta sedan is larger and restyled, it’s also been criticized for dropping its fully independent rear suspension for a semi-independent unit, as well as for cheaper materials used in construction. This means the 2011 Volkswagen Jetta Sportwagen is a bit of an anachronism, but one that certainly benefits you. Keeping the fifth-gen setup with its fully independent rear suspension, as well as the more luxurious and high-quality interior, the Sportswagen gives you one last shot at the Jetta of old. Here that means a five-door station wagon powered by your choice of conventional or diesel engines coupled with a five-speed manual or six-speed automatic transmission. S and SE trims come with a 2.5-liter, inline five-cylinder powerplant, offering 170 hp at 5,700 rpm and 177 lb-ft of torque at 4,250. It’s a stout engine, with adequate pickup even from a stop, despite power peaks that don’t show up until after 4,000 rpm. TDI trims get a four-cylinder turbodiesel engine that utilizes turbocharged direct injection, from which TDI gets its name. With 140 hp at 4,000 rpm, it’s easy to dismiss, but the 236 lb-ft of torque that arrives at only 1,750 rpm changes things a bit. Take off at 2,000 and you’ll be rewarded with a budding power curve that won’t disappoint. Both transmissions are smooth, clean and strong with solid pedal response. The manual doesn’t feel significantly faster than the automatic, but offers a big fun increase that can’t be matched by the automatic, even with the manual shift gate. Fuel economy doesn't change significantly with either transmission, and the manual even beats the automatic in combined mpg with the 2.5-liter engine. The EPA estimates 23/33 mpg and 24/31 with the manual and automatic in the 2.5 respectively, and 30/41 and 30/42 with the TDI. With standard traction and stability control, the Sportwagen has spirited handling that won’t surprise – even with some body lean that could be better damped. Steering is weighted well and offers enough feedback to inspire spirited driving, while the 16-inch wheels provide enough sidewall in the tires to absorb harsh surfaces. This all blends for a comfortable ride that is aided by heated front seats and other luxuries like rear-seat heat ducts and heated power mirrors, even in the base S trim. The SE trim doesn’t offer many upgrades, adding only vinyl upholstery, an upgraded satellite-ready 6-CD changer and a leather-wrapped steering wheel. The TDI adds even less with steering wheel controls for the stereo and a 115-volt auxiliary power outlet. The one change that’s very welcome in the new Jetta is an increase in rear seating space. It can get cramped in the Sportwagen, but it’s still good for long-distance travel for anyone 6 feet or shorter. With the Jetta Sportwagen on its way out, the time is definitely nigh for grabbing one before it becomes like every other bloated crossover on the market. As is, it still holds the European style and sensibility that made it such an attractive option in the first place. Grab hold before this falls the way of “American Innovation” as well. 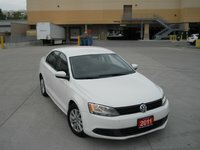 What's your take on the 2011 Volkswagen Jetta SportWagen? 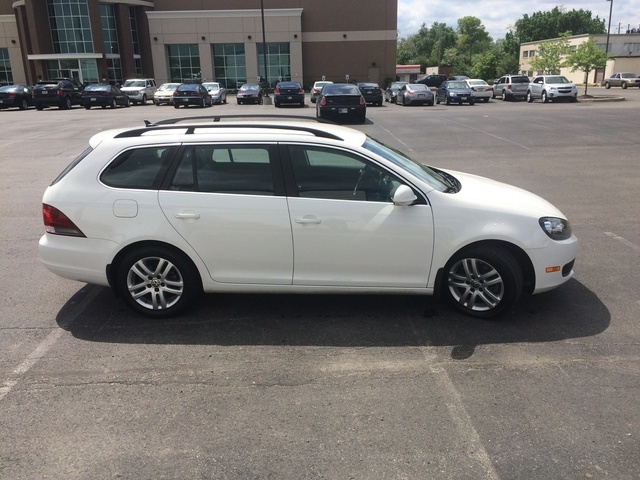 Have you driven a 2011 Volkswagen Jetta SportWagen? Does It Have 2 Wheel Drive, Or 4 Wheel Drive, Or None. 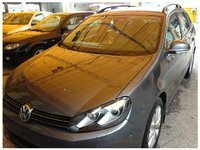 2011 Jetta Sportwagen. .7VDC In One Headlight 11.4VDC In Other.